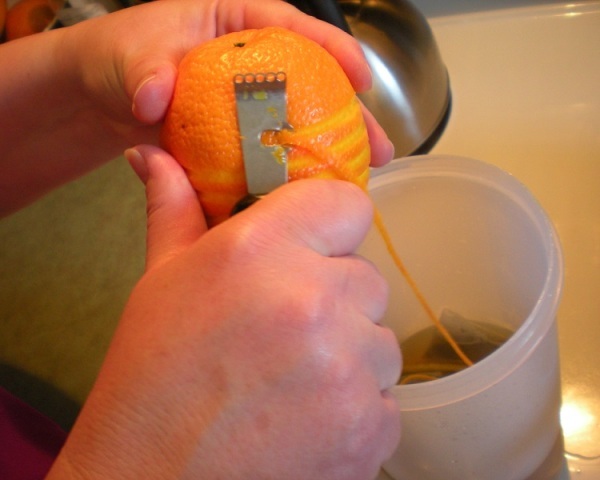 Save yourself some pennies by being a bit creative and making your own aftershave at home. Read on to learn the recipes on how to make your own aftershave. An unpleasant, but essential and unavoidable exercise for men is shaving. Though men cannot escape the sharp edges of a razor, they can get some skin relief by using a cool aftershave. Many people avoid using these aftershaves as they consider them to be a useless investment. However, an aftershave is very essential to keep the face skin healthy. Men usually rub their beard with warm water prior to shaving. This opens the pores, thereby making the shaving easier and cleaner. An aftershave not only helps in soothing the skin after the razor burns, but also helps reduce the pores to its normal size. If you don’t use an aftershave, the pores remain open, leading to accumulation of dust and other harmful particles, which can prove out to be injurious for the skin. Therefore, it is essential to apply an aftershave after shaving. Thanks to commercialization, the markets, today, are brimmed with an assortment of aftershave lotions and creams. However, the chemicals present in the commercial aftershave do little benefit than harm. This article provides you with various recipes for making your own aftershave at home. The homemade aftershave would not only help you save your money, but also help you get the same result, in a natural way. Just go ahead and accentuate your skin like never before! Fill an empty bottle or container with equal quantity of apple cider vinegar and water. Shake it well to blend. Splash it on your face after shaving like any other aftershave. The vinegar plays the same role as any other store-bought aftershave, i.e., it acts as an antiseptic, moisturizes the skin, closes the pores and soothes the razor burns. Combine all the ingredients in a jar or a bottle with a strong and tightly fitting lid. Place the container in a dark, cool place for 2 weeks. This will allow the alcohol to extract the essential oils from the bay leaves. Strain the mixture through several layers of coffee filters after 2 weeks. Repeat the filtration process, until there is no residue remaining. Put in a nice bottle and use as any other aftershave. Put all the ingredients in a bottle and shake well. You can use it immediately or add additional ingredients of your choice. Take a bowl and stir in all the ingredients together. Transfer the mixture into a jar, cover and refrigerate for 3-4 days. Shake occasionally to mix the ingredients. After 3-4 days, strain out the liquid. Keep refrigerated for 1-2 months. This recipe yields 2 cups of aftershave.